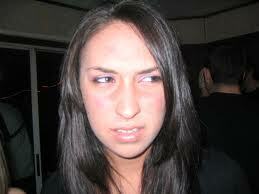 Browse > Home / Ask Dr. Vicki, Parenting, Teenagers/Tweens / Should Parents Tolerate Teenage Sarcasm? How do I cut through what appears to be 14 year old hormonal sarcasm? Dr. Vicki’s response: With teenagers, the best thing to do with sarcasm is to ignore it. Second best thing to do it ignore it. Do you want to hear the next one? However, what one parent feels is sarcasm, is another parent’s disrespect. Every parent needs to decide on where to draw the line. In my home, we all bantered with sarcastic remarks. A friend invited to dinner was appalled, stating that she would never be able to say that at her house. So, decide on your boundaries, and then be clear to your 14 year-old. Also, be very clear what may be tolerated around the house versus what won’t be tolerated by teachers, peers, etc. And, if he crosses your line: “OK, that one was over the line…back it up a little.” Or, go back to ignoring! What do you do when your child is sarcastic? Please feel free to comment below. With teenagers, the best thing to do with sarcasm is to ignore it. Seriously, particularly at this age, it is so important to pick and choose your battles. In the big scheme of things, sarcasm may be a minor one….